The project is slated for completion next year. Al Futtaim Engineering’s Qatar operation has won a major contract for mechanical, electrical and plumbing (MEP) works at the Doha Festival City development in the Qatari capital. The QR500-million ($137 million) contract was awarded to a joint venture between Hamad and Mohamad Al Futtaim and Voltas Qatar and involves MEP works for the main mall. The project is expected to be completed by 2016. 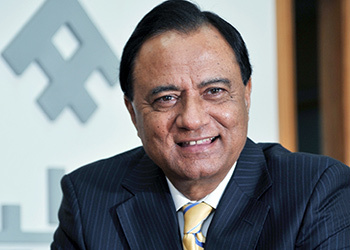 Dawood Ozair, senior managing director of Al Futtaim Engineering and Technologies, believes the company’s history of successfully delivering projects has led it to being recognised as a preferred main contractor in the region. Located on Al Shamal Road, Doha Festival City is claimed to be the largest mixed-use development currently under construction in the Middle East, and on completion will be Qatar’s largest retail and leisure destination. 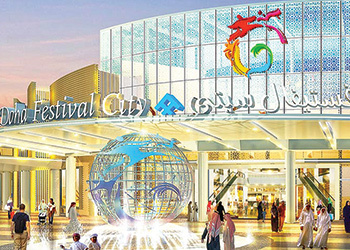 It will feature the Doha Festival City Mall, as well as a hotel and convention centre. The development, with a gross leasable area of around 250,000 sq m, will comprise 550 outlets representing international and local brands, including 85 restaurants and cafes, VOX Cinemas and a snow park. It will feature around 8,000 parking spaces. Al Futtaim Engineering is a multi-disciplinary engineering organisation operating across the UAE, Qatar, Saudi Arabia, and Egypt with over 30 years of successful operations. The Al Futtaim group company provides total solutions to the building industry through its proven expertise in MEP, facility management, fire-fighting, elevators and escalators, air-conditioning, building products and scaffolding and access control. The ISO-9001:2000-certified company continues to successfully represent strong international brands like Airedale, Hitachi, Johnson Control, Toto, LM and Kranz, amongst others. Al Futtaim Engineering’s MEP division was first established in 1978 in the UAE and has since expanded its operations into Saudi Arabia, Qatar and Egypt in recent years. It is a specialist engineering company undertaking the design, engineering, supply, installation, commissioning and maintenance of mechanical, electrical and plumbing services for commercial, residential and infrastructure projects. “With an experienced team of leaders, managers supported by highly qualified and experienced engineers and technicians, the MEP division has the ability to handle even the most demanding of mechanical, air-conditioning, electrical, plumbing and fire protection projects, which requires on time delivery of quality products,” says a spokesman for the division. Other high-profile MEP projects carried out by Hamad and Mohamad Al Futtaim’s in Qatar include the Burj Al Marina within the Lusail City development, Ikea at Doha Festival City and the Heritage Quarter which includes a mosque, a prayer hall and heritage houses. Under the umbrella of MEP maintenance, the company has many prestigious projects including Qatar National Convention Centre, Hyatt Plaza Shopping Mall, Landmark Group’s showrooms, and Al Fardan Properties, amongst others.